Last night, we posted the finalists to our Facebook page, and opened up the voting to you! From now until Tuesday, Oct 2nd at 5pm, you’ll have the opportunity to vote on what dog should be chosen for the coveted calendar spot! To vote- head over to our Facebook page’s “2013 Pup Squad Calendar Contest” photo album and ‘like’ the picture of your favorite dog or pup! From there, we’ll tally up the votes and announce the winner! Click on the flyer below or visit www.pupsquad.org to buy tickets! There are so many new and exciting things happening at Pup Squad, and I’m sure a few of you are asking yourselves: how can I stay in the loop?! Well, friends, there are a few ways that you can keep in touch! 1. Are you subscribed to our mailing list? If not, click here! 2. Have you ‘liked’ Pup Squad on Facebook? If not, click here! 3. Are you following Pup Squad on Twitter? If not, click here! An exciting new edition of the Pup Squad Post was sent out this morning! Click here (or on the picture to the left) to check it out! Gosh- have we really been away since the end of January?! Where has time gone? Well, we’re back now, and there’s SO much to catch up on! It’s that time of year again, and we’re getting ready to launch the annual Pup Squad Calendar contest! Yay!! For those of you who are new to the fun- every year Pup Squad releases a calendar featuring our cutest dogs and pups! Finding a picture for one month of the year is particularly exciting though, and that’s because the featured dog is the winner of our annual contest! 1. All pictures must feature a Pup Squad pup. 2. Only 1 submission per person please. 3. Only submissions sent to PupSquadCalendar@gmail.com during the submission window will be accepted. This year we’ll be accepting submissions from Monday, Sept. 17th at 8am through Sunday, Sept. 23rd at 5pm. From there, a Pup Squad panel will select the top 10 photos and open up the voting! You’ll have a week to vote and then we’ll declare the winner! This year’s lucky winner will have a photo shoot with Sonya Sellers Photography, and one of her fantastic pics will be chosen for the calendar! How fun is that?! So- start hunting for your best pics- we can’t wait to see them! 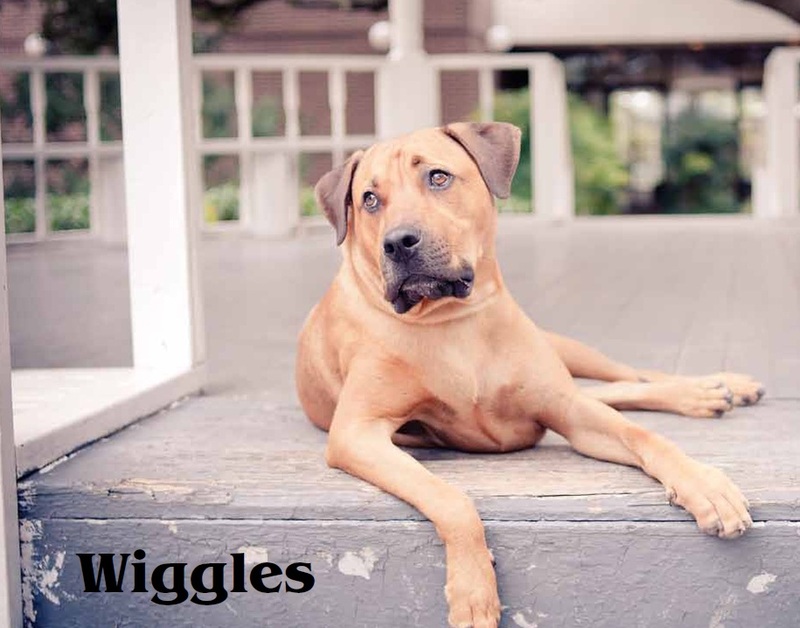 PS- Adorable Wiggles (above) was 2012’s contest winner! Thank You to our Online Community! Well, this past week has flown by, and it’s time for another Thank You Thursday! This week, we’d really like to thank our Facebook, Twitter, and Blog followers and fans! We’re not telling anyone anything they don’t already know by saying that we live in a world consumed by social media, and the Pup Squad community is no exception! We relies heavily on the instant gratification that social media provides, and regardless of whether our posts and tweets are just for fun or pleas for help- you are there! It’s great to see our Pup Squad community expanding day by day, and even more fun to see the awesome responses we get to our online communications! We’d love to see our community grow even more, so please get your friends and family on board! One last shameless plug: we just posted a momma and pups (beautiful yellow labs..) in need of fosters. They’re heading our way on Sunday, and we’re really hoping to have a foster home lined up by then- tight deadline, we know. This goofy girl was found when she was only days old and needed to be bottle fed! She’s certainly happy and healthy now though! Sasha loves the social life in her foster home, so much in fact, you’d never know she came from such rough beginnings! We’re thinking that Sasha is a unique looking shepherd mix, and that she’ll be a medium sized dog when she’s full grown. This sweet girl really loves to be around people- age doesn’t matter to this pup! Young or old- she’s your girl! Sasha also loves other dogs, and she’d be a great addition to a home that already has a canine companion or two! Don’t get us wrong, she’d be just fine as the only contender for your attention- can you blame her? Sasha enjoys running around in the yard, playing, but she definitely won’t refuse a good snuggle! Even better- a comfy dog bed with a bone all her own! Sasha is up to date on all her vaccinations, spayed, and almost totally house broken! Sasha is ready whenever you are, so email Pup Squad today for more information! Be sure to check out Sasha’s other beautiful pics posted on her online bio too! After a long week- we need a drink! And thank goodness for the Boneyard Drinkery’s Pints for Pups! The Boneyard is hosting Pints for Pups this Friday (tomorrow!) from 6:00pm to 9:00pm and generously donating the proceeds to Pup Squad! We love the Boneyard for a lot of reasons- they’re certainly philanthropically minded for one, they combine two fantastic things- dog bark and neighborhood bar, and they’re super nice! If you have the Pup Squad 2012 calendar hanging on your wall like we do, then you will see the Boneyard’s awesome dog park featured as the background for a few of the monthly pictures! So – this week’s Thank You Thursday shout out is to the Boneyard Drinkery! Woohoo! We certainly love them and hope you do too! Check them out at their website here or on Facebook here, and be sure to join us tomorrow night at Pints for Pups!